Core Basic Cervical Support Pillow is designed to soothe tired neck and back and support neck in its most natural position. It conforms to the curvature of neck and allows user to fully relax. 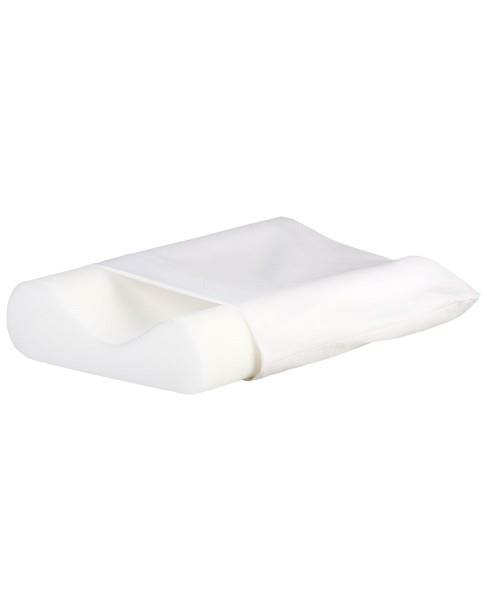 Core Basic Cervical Support Pillow can help alleviate tension headaches and neck pain, and can help promote healing for individuals recovering from neck injury or surgery. - Wash in cool, soapy water. - Tumble or line dry. - Wipe foam with a damp cloth.